• The label should have a statement saying the dog food meets or exceeds the American Association of Feed Control Officials (AAFCO) nutritional guidelines. If the dog food doesn't meet AAFCO guidelines, it can't be considered complete and balanced, and can cause nutritional deficiencies. • The guaranteed analysis lists the minimum percentages of crude protein and crude fat and the maximum percentages of crude fiber and water. AAFCO requires a minimum of 18 percent crude protein for adult dogs and 22 percent crude protein for puppies on a dry matter basis (that means with the water removed; canned foods should have more protein because they have more water). Dog food must also have a minimum of 5 percent crude fat for adults and 8 percent crude fat for puppies. • The ingredients list the most common item in the food first, and so on until you get to the least common item, which is listed last. 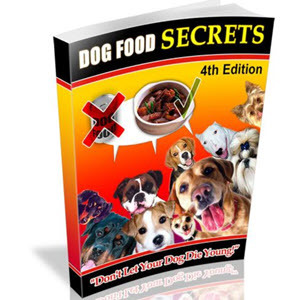 • Look for a dog food that lists an animal protein source first, such as chicken or poultry meal, beef or beef byproducts, and that has other protein sources listed among the top five ingredients. That's because a food that lists chicken, wheat, wheat gluten, corn, and wheat fiber as the first five ingredients has more chicken than wheat, but may not have more chicken than all the grain products put together. • Other ingredients may include a carbohydrate source, fat, vitamins and minerals, preservatives, fiber, and sometimes other additives purported to be healthy. • Some grocery store brands may add artificial colors, sugar, and fillers—all of which should be avoided. 25 percent of the dog's diet. 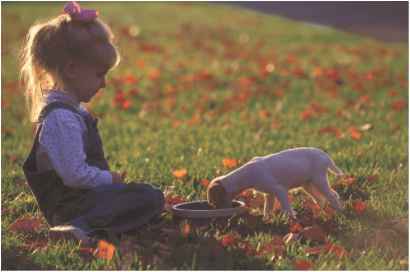 A puppy raised on dry food, with or without the occasional addition of water, will be quite content with that food for her lifetime. To help keep your dog's teeth and gums healthy, avoid semimoist food (which has a lot of salt, sugar, and preservatives) and too much canned food. These soft preparations encourage tartar buildup, which can lead to periodontal disease. Hard kibble helps keep teeth clean and gums healthy. JRTs do not need to have food available all the time, but they do always need access to fresh, clean water. There are so many brands and types of dog food, it can be difficult to decide what is best for your Jack Russell. Premium, high-quality food should always be chosen over less expensive food that may contain poor-quality ingredients, fillers, and artificial colors and additives. 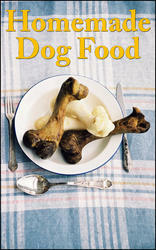 The dog's stool is a primary indicator of the digestibility (usable amount of nutrients) of the food she is eating. Lower-cost foods may be soy- or corn-based, which tends to produce a larger, looser stool. A food that is based on good animal proteins will produce a firm, well-formed stool. Although store and discount brands should probably be avoided, relatively low-cost, high-quality foods are still available in grocery, feed, and specialty stores. Read and compare labels (see the box on page 57), seek quality and palatability, and you can be sure that you will be providing the best food available for your dog. What dry food to feed a jack russell? What foods should you not feed your jack russell terrier? What protein should my jack russel have? Is it better to always feed jack russells the same food? How to feed and water jack russel terrier?